We are all very fortunate to have the practice of yoga available to us. Yoga has helped me to become more tolerant, more patient, more thoughtful, more caring, and above all, more loving. So why is it that the essence of yoga seems to have been left behind? 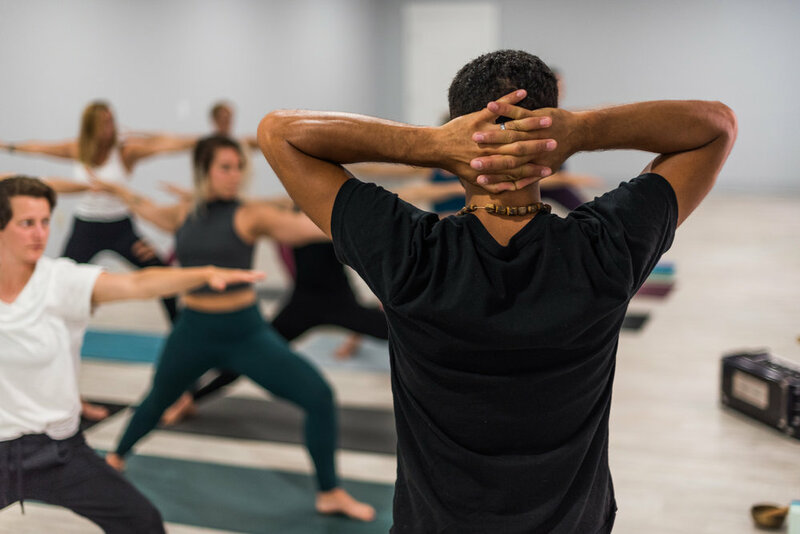 For instance, some of the most basic aspects of the yoga practice, the yamas and the niyamas (moral guidelines), are almost unspoken of in a yoga studio unless it’s during a training. These moral guidelines are often watered down and altered into a shadow of what they actually mean as well. I understand that there has been an evolution of the practice outside of India that has landed more on the physical postures than the yogic philosophy but why abandon the roots? Especially when the roots can lead us to a much more thoughtful way of living. The actual practice of yoga was around long before any asana (physical posture) had been developed. So why is it that most of the yoga teachers today only teach the physical aspects of it? The roots of the yoga practice are what led to the physical part of the practice and yet here we are only doing the physical part. Let’s talk about this. The physical aspect of the yoga practice is the easiest part to see. The images of beautiful poses are hard not to admire while scrolling down your Instagram feed/other social media platforms or in your favorite yoga publication. Often times, we will see these athletic, bendy, or maybe even relaxing looking poses and this may draw us to them. People may start yoga in hopes of building strength, increasing flexibility, or the possibility of stress relief or relaxation. Yoga can help with all of this but if strength can be built, flexibility can increase, stress can be reduced, doesn’t that mean that all of this can and will fluctuate? Not only that, other factors will come into play, maybe aging or an unforeseen accident. Does this mean that the yoga practice stops here? Absolutely not. Much of the yoga that is practiced nowadays is very much focused on the body and it’s movements but this is really just the outermost layer of the practice. This is known as the anamaya kosha, or physical body. The physical body is important. We have our body so we can live in this world. We use it daily. We need to take care of it. I get it. But what good is a jet if you don’t have a great pilot. It could be the best machine made, full tank of fuel, best paint job, and still, without a great pilot, it might not even make it off the ground. Think of the mind as if it were the pilot. This is where the yoga practice comes in. A strong body with a weak or foul mind does us no good. As I was taught, the yoga practice was designed to overcome the obstacle of the mind for the purpose of the self experiencing it’s own true nature. When speaking of the yoga practice, this teacher wasn’t only referring to the asana, but to the complete practice. This is the difference. When we neglect to incorporate the other parts of the practice, we are really missing out on the deeper benefits. Not just the physiological benefits, but the positive change that occurs within the mind which allows one to live a fuller, more satisfied life. It teaches us how to be selfless, as opposed to selfish. It teaches us to see the good in others and let them know it. The wisdom seems to be endless and highly applicable in today’s modern day world. This positive change in turn effects those around you and eventually seeps into the world overall. The asana can be used to facilitate aspects of the wisdom such as patience, tolerance, and to be more aware but without this yogic wisdom to direct us, all of this can turn into yet another means of selfishness and inflated ego. This wisdom has been passed down from teacher to teacher for generations. In Sanskrit, this is known as parampara. This disciplic succession is very much what seems to have been forgotten, unknowingly left out, or even abandoned on purpose. Sometimes it’s hard for our ego to listen to something we may not understand or agree with. The ego may think we know best or can do things differently. Maybe we think it’s old and outdated. Maybe it’s hard to admit we don’t have complete control. It’s a shame because these are some of the exact problems that the yogic wisdom helps us to better understand. Special thanks to my teachers their teachers, and their teacher’s teachers. I credit them to my train of thought on this matter and I apologize to anyone I may have offended by writing this.